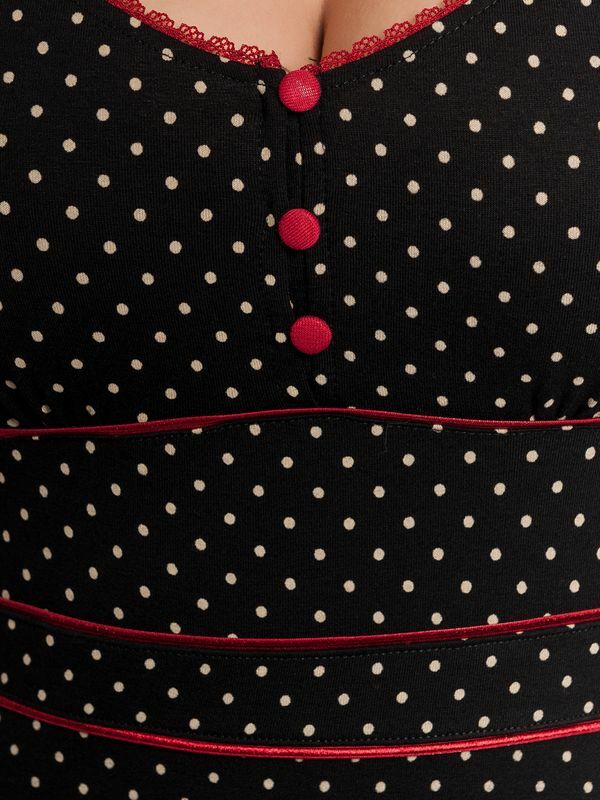 Vive Maria's Lucky Girl Dress places colourful hightlights with its dots printing. 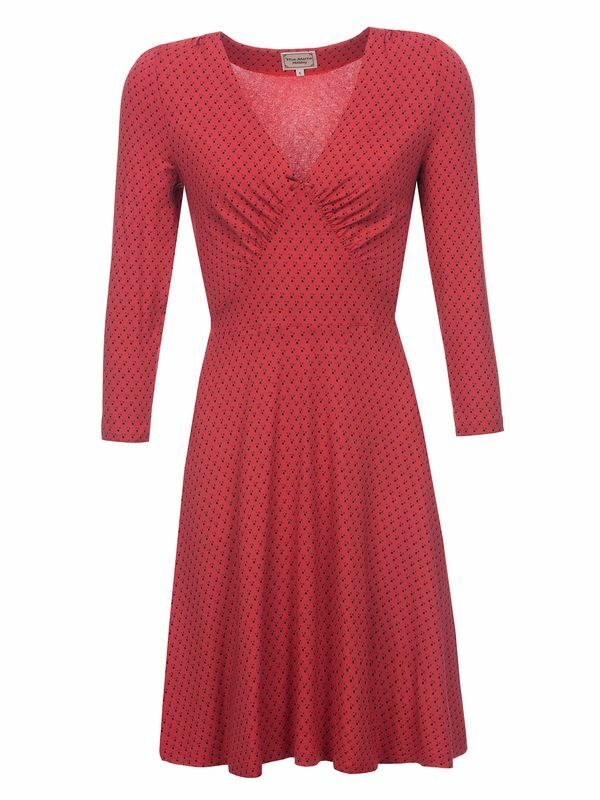 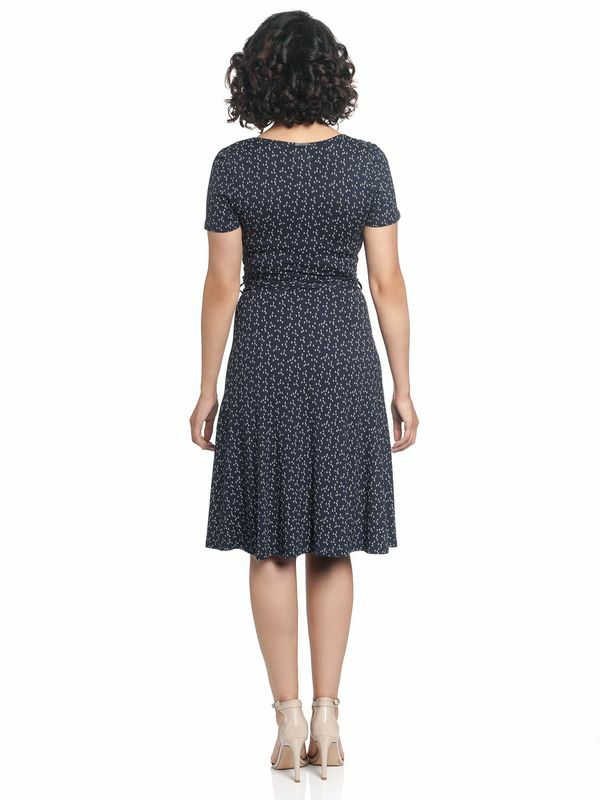 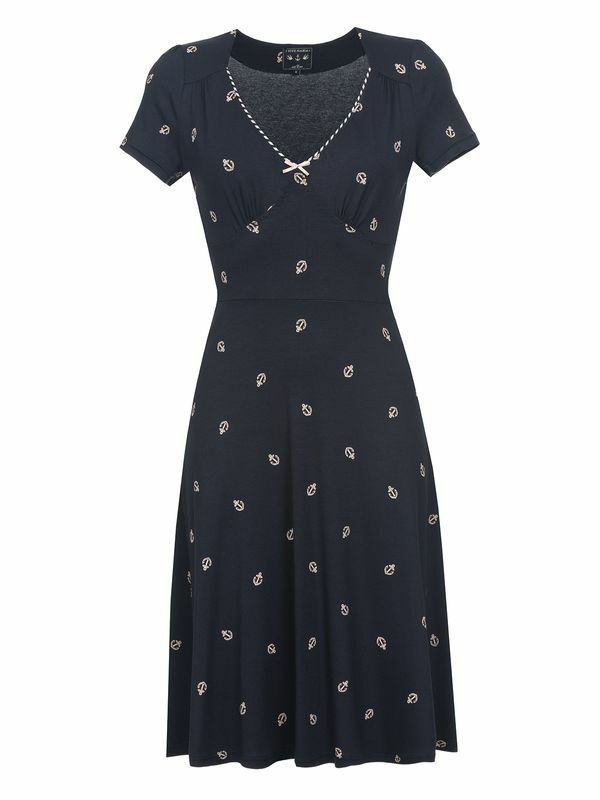 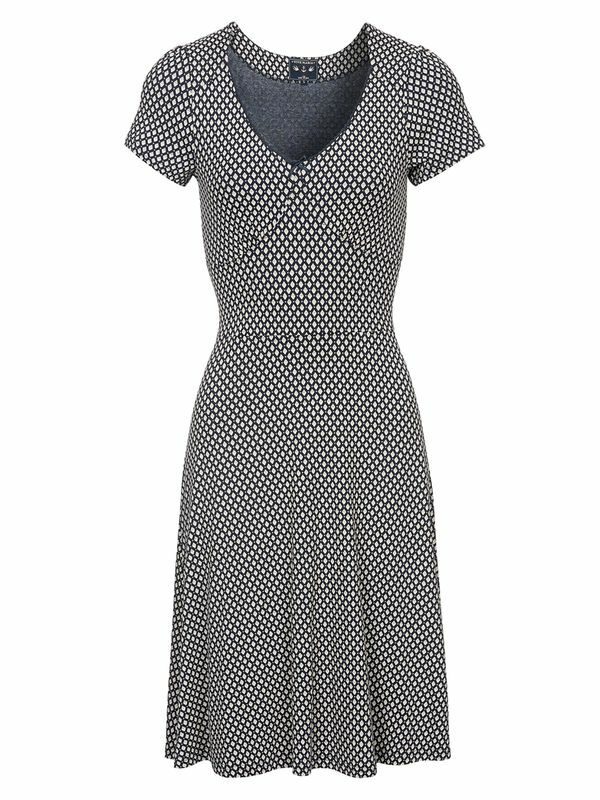 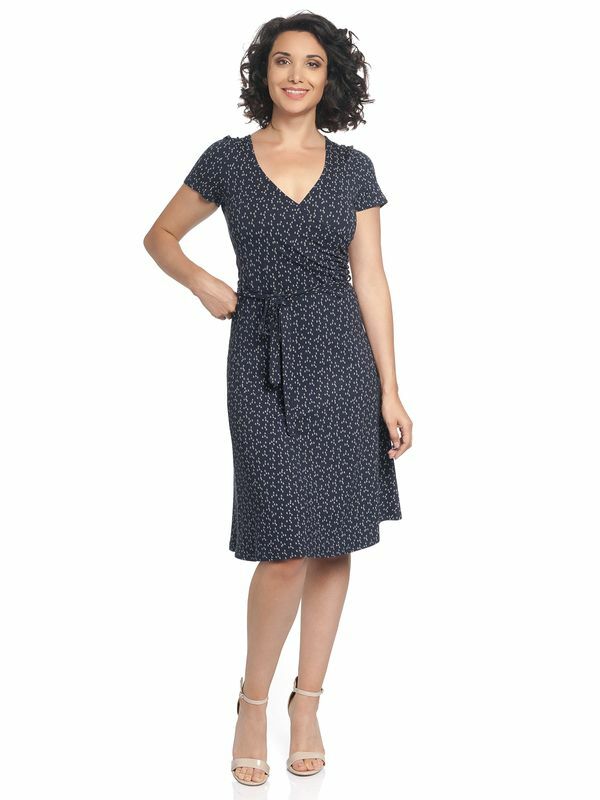 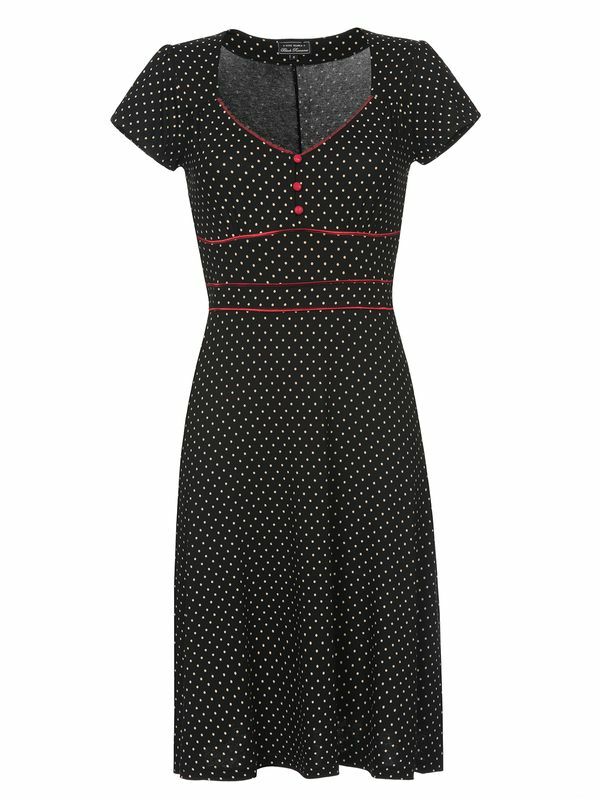 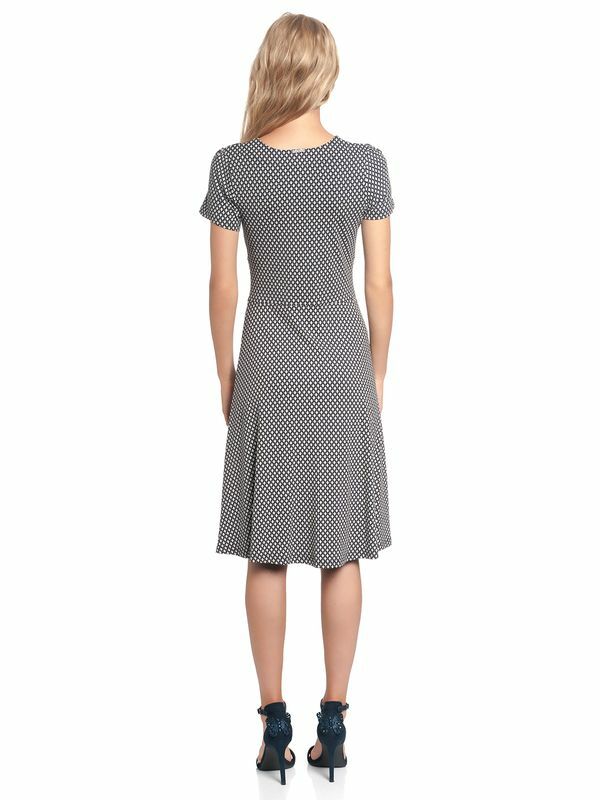 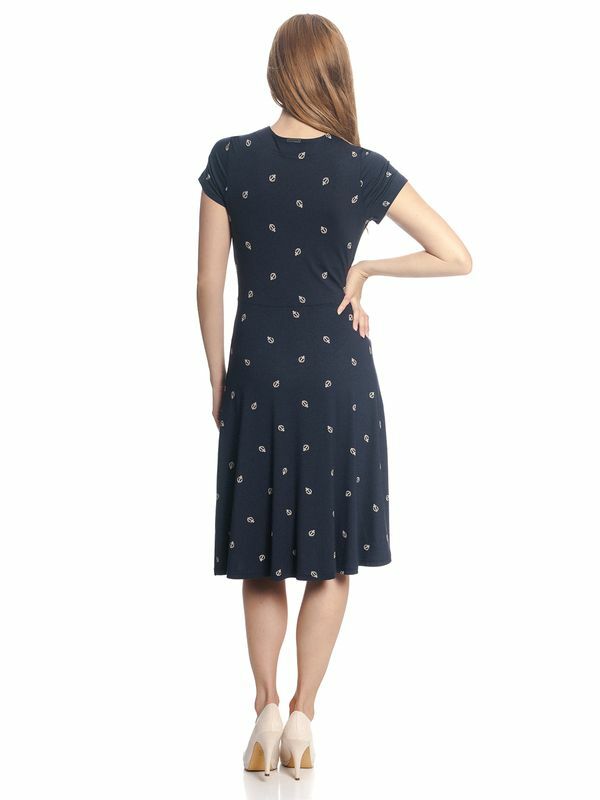 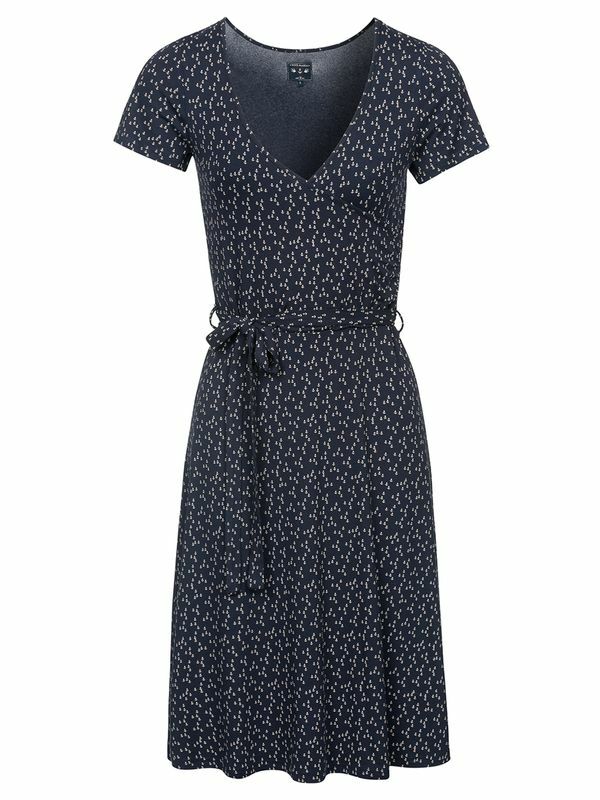 A beautiful creme coloured dots on a blue background gives this dress a very playful look. 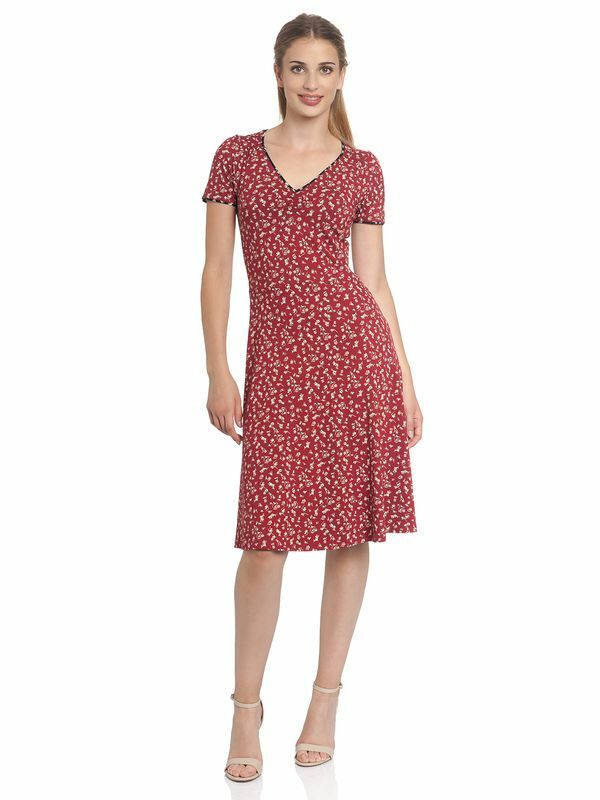 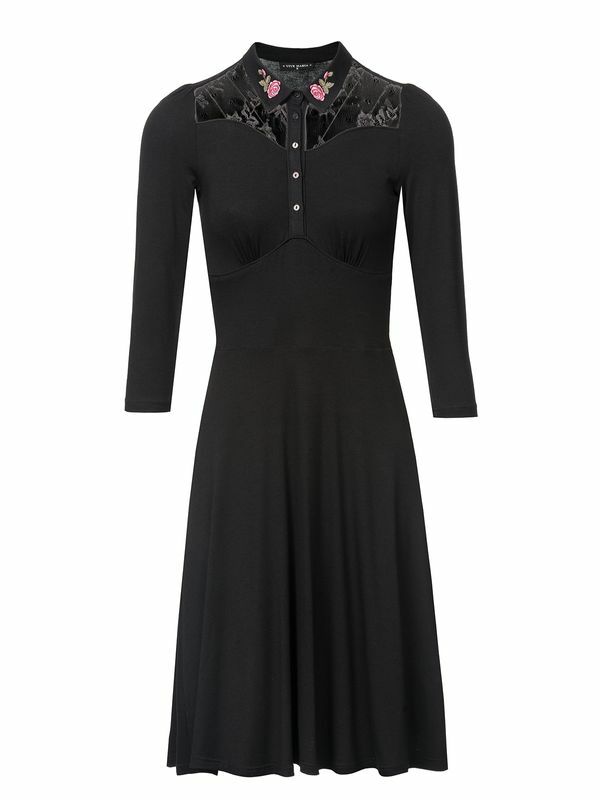 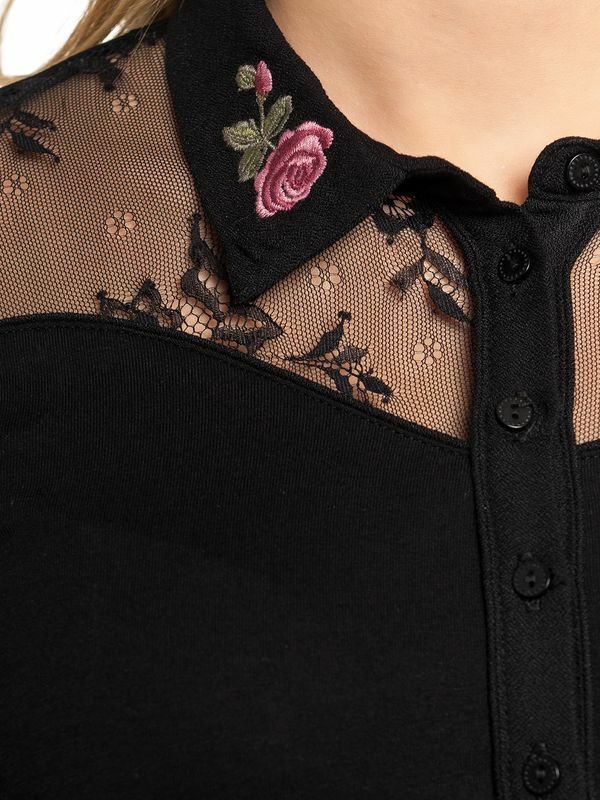 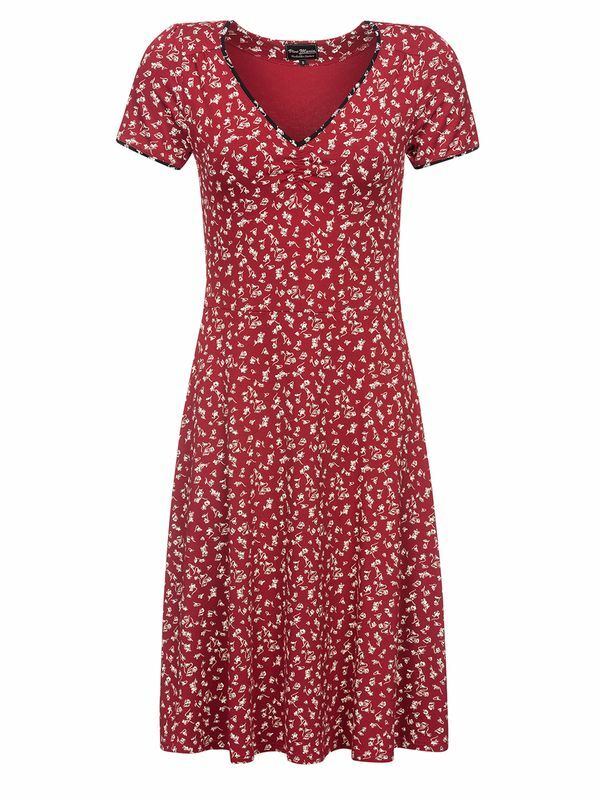 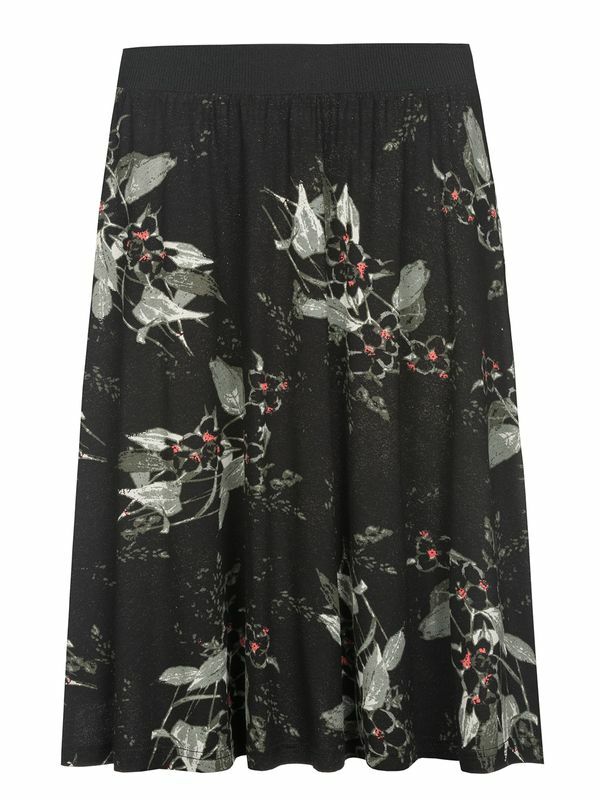 It has a round neckline, embellished with red braiding and a little satin bow. 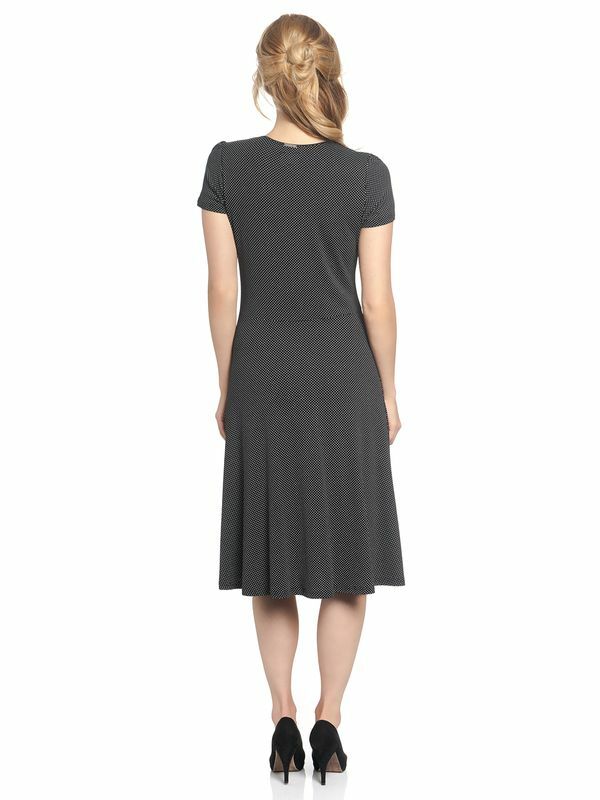 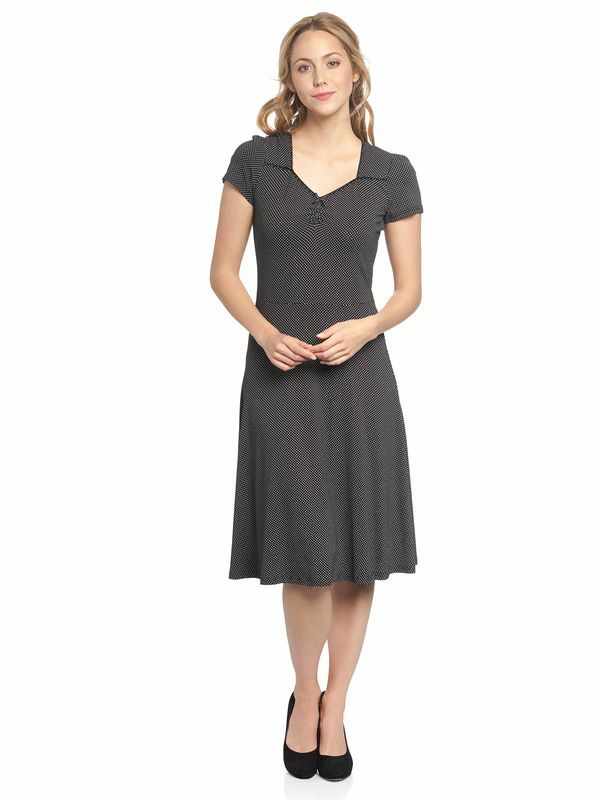 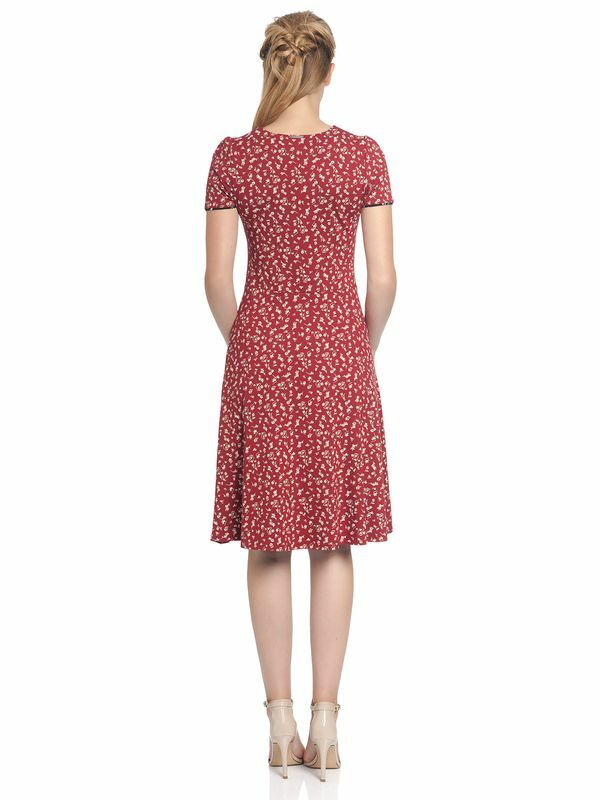 The dress has 3/4 long sleeves. 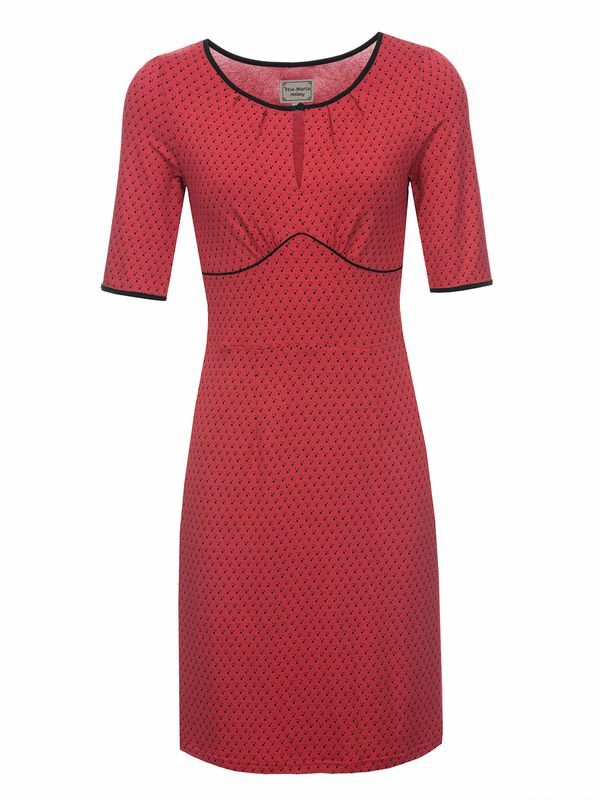 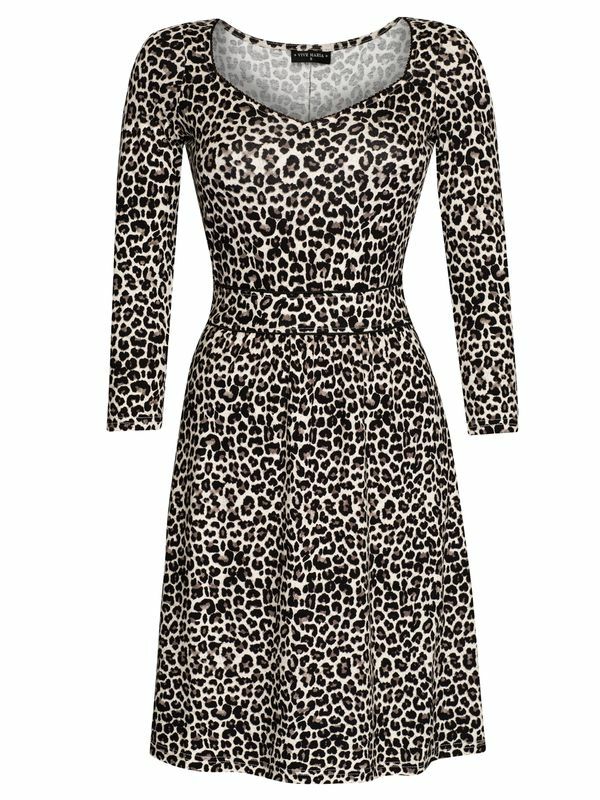 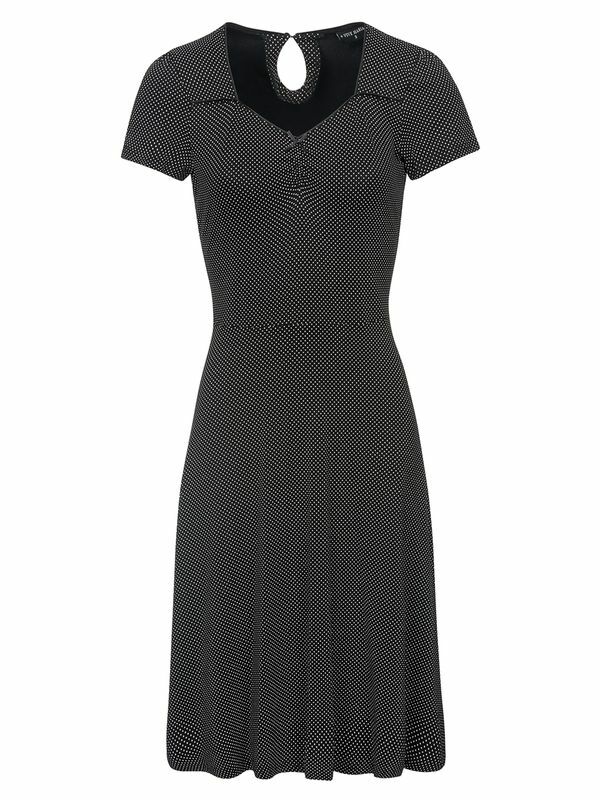 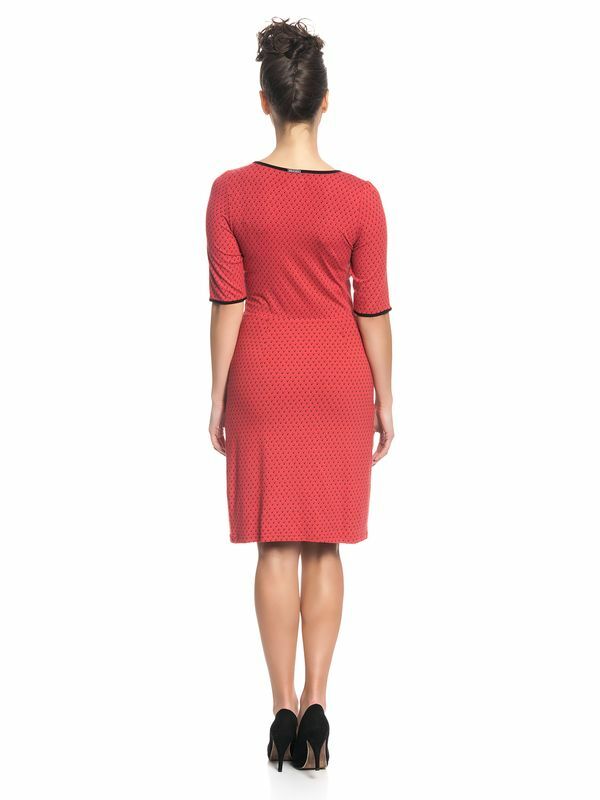 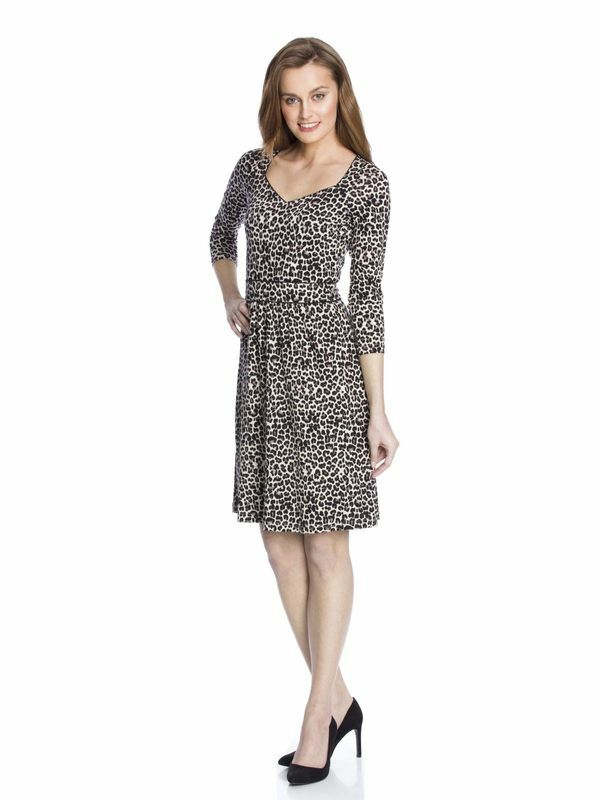 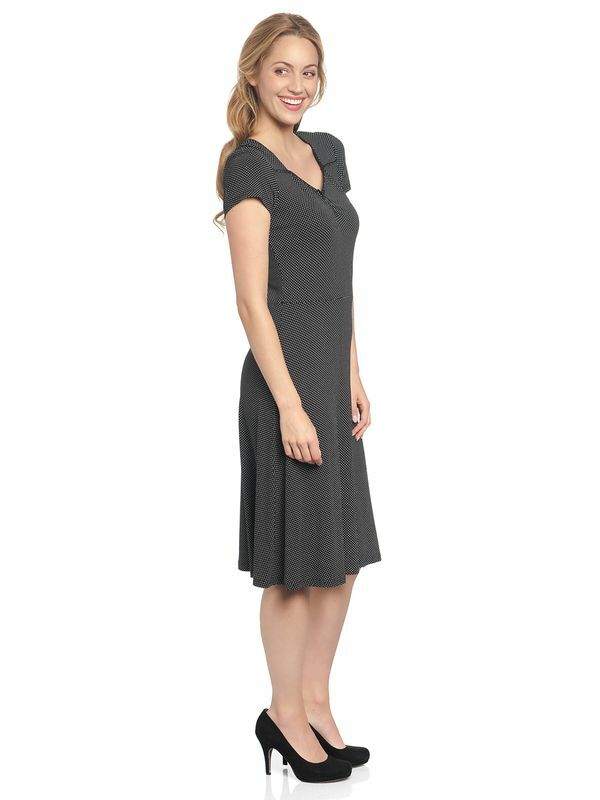 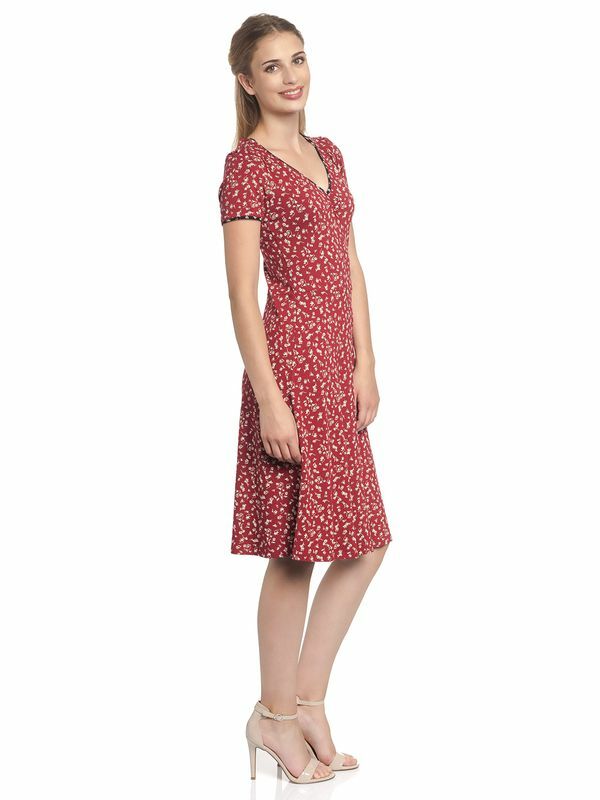 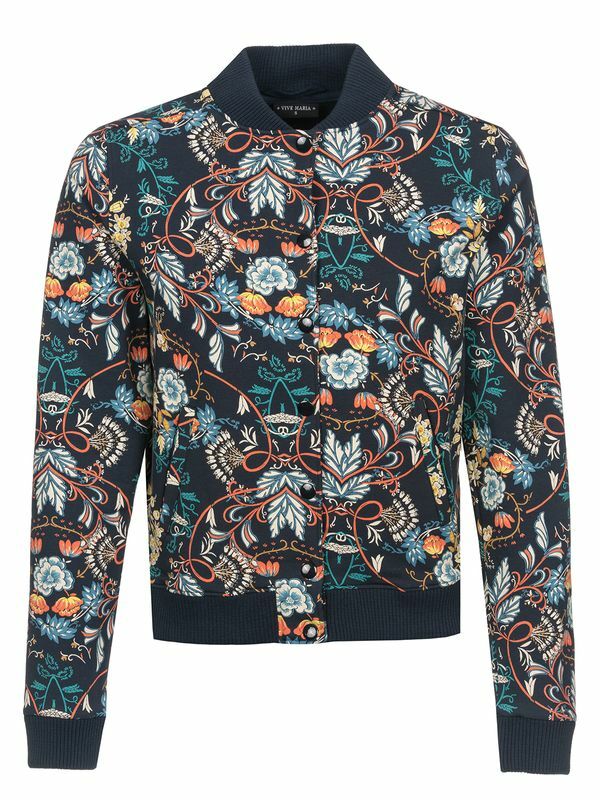 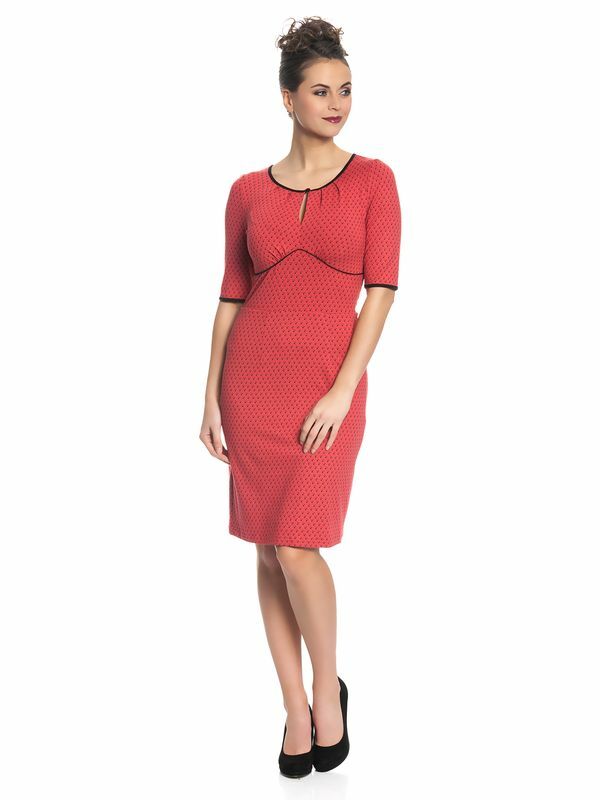 A lovely detail is the diagonally running seam in the waist area which ensure a perfect fit.